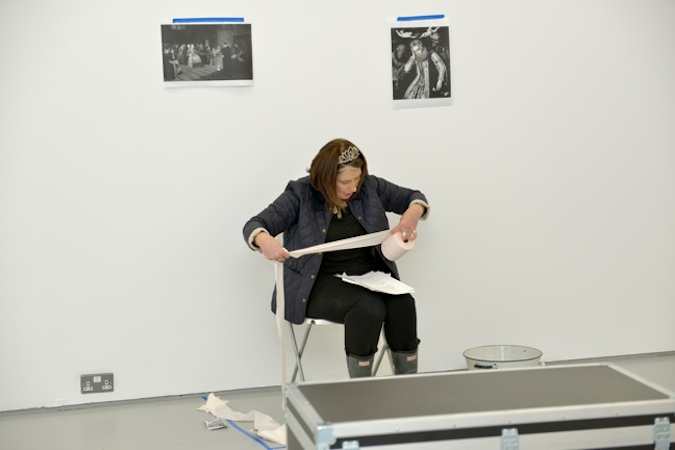 VWAP is curated by Aileen Burns & Johan Lundh for CCA Derry~Londonderry. Review in Frieze magazine issue 517 by João Laia. Goldin+Senneby's solo-exhibition at CCA, VWAP, is their first one UK and Ireland. Their project originates in Sweden, the home country of this artistic duo, circa 1780, when mineralogist August Nordenskiöld was secretly employed by King Gustav III to pursue alchemical research. Nordenskiöld was attempting to produce gold, which in the king’s view was necessary to boost the country’s wealth and sustain a war against Russia. Nordenskiöld’s covert agenda however was to make his discoveries available to all; ultimately aiming to abolish the “tyranny of money” by making gold worthless. Having identified analogous processes in late capitalism’s modes of production and accumulation, VWAP will feature the commissioning of a speculative theatrical script and the development of a new algorithmic trading model to be tested in the financial markets of today. In the interplay between these two modes of speculation, the work gives itself over to the mysterious forces of capital that it simultaneously stages in the gallery. VWAP is part of a series of new productions that began earlier this year with the exhibition M&A at Artspace NZ and DPAG in New Zealand, explicitly utilising the infrastructure supporting exhibitions, such as staff, funding, and administrative supports, to develop algorithmic trading models. A group of sociologists and political scientists at the University of Edinburgh, headed by Professor Donald MacKenzie, have developed a trading strategy especially for the exhibition at CCA, which has been algorithmically implemented by an anonymous computer scientist and will be tested for the first time within VWAP. 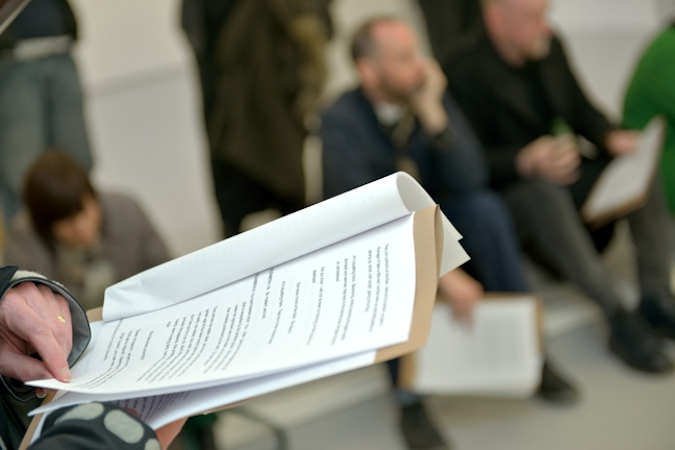 Leading up to the opening and concurrent with the development of the trading algorithm, Goldin+Senneby have been working with playwright James McAleavey, who has been scripting a speculative scene for the gallery, to be publicly rehearsed for as long as the trading budget lasts. Trading and the enactment of the scene begin during the opening of the exhibition. Like many cities across the UK and Ireland, Derry was a city with significant industrial and military infrastructure, which since has moved or become obsolete. The city, still rebuilding after years of conflict, is looking for new means of sustenance. VWAP addresses the current financial state of Northern Ireland, and speculates about possible futures for the region, taking inspiration from Swedish alchemy of the 18th century to test the principles underpinning the proposed digital future of the city. Goldin+Senneby is a collaborative framework exploring juridical, financial and spatial constructs. Their projects often utilise the skills and expertise of selected specialists. 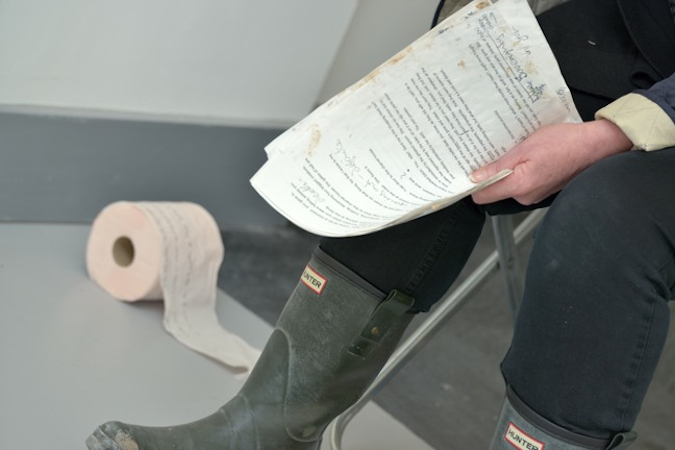 Solo exhibitions include M&A, Artspace NZ, Auckland, and DPAG, Dunedin, New Zealand (2013); I dispense, divide, assign, keep, hold, NAK, Aachen (2012); Standard Length of a Miracle, CAC, Vilnius (2011); The Decapitation of Money, Kadist, Paris (2010); and Goldin+Senneby: Headless, The Power Plant, Toronto (2008). 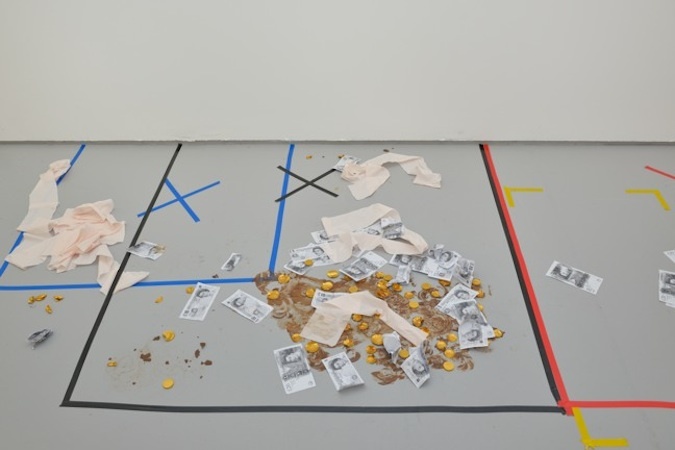 Group exhibitions include The Deep of the Modern, Manifesta 9, Genk (2012); The End of Money, Witte de With, Rotterdam (2011); and The Moderna Exhibition, Moderna Museet, Stockholm (2010).